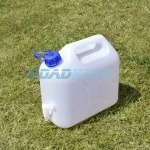 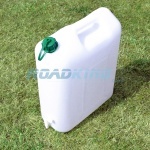 Water carriers for storing and carrying large amounts of water whilst camping or on-the-road. 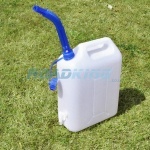 They are one of the most important items you can take on any camping, caravanning holiday or road trip. 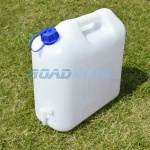 Simply fill the container with the required amount of water before you depart for your trip or fill the water carrier on arrival at you destination. 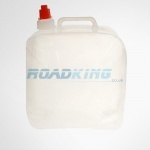 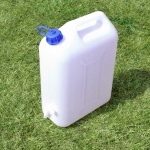 Here at roadking.co.uk we sell a range of solid plastic and collapsable water carriers and containers including 5L, 10L, 15L and 20L water carriers. 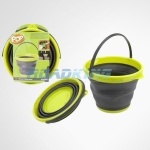 Each container features a convenient built in tap for pouring water without spillage. 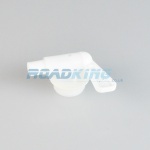 We also offer replacement screw taps incase your existing water carrier tap needs replacing.